Here's you're last basic Paleo habit. When you feel comfortable, then it's time to work on the next step. But not before. Don't rush this. 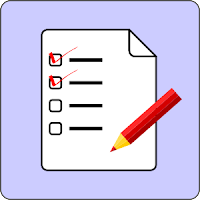 Remember Kaizen is about changing your life one tiny step at a time. I have organized my kitchen and follow routines to keep it that way. We have now come to the last of the basic habits. If you are following all of the previous nine you are really in good shape and well on your way to making Paleo cooking quick, easy, and as effortless as possible. Today's habit is really an extra that you don't absolutely have to do. 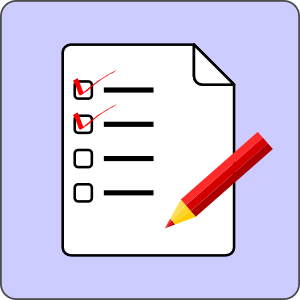 You can just follow the first nine habits and be very successful at Paleo cooking. But just as a chocolate cake is that much better with icing, so too your Paleo cooking will have that extra oomph if you grow your own herbs and sprouts. It's exceptionally easy to do and it will surprise you how much it can actually add to your cooking enjoyment. Each time I snip some fresh rosemary or add some fresh sprouts to my salads, I not only enjoy the aroma but I also have a warm feeling of pride that I have grown these myself. 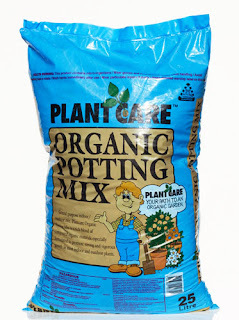 If you have never potted anything before, here is a great video that will show you exactly how to do it. There are two examples in this video. One is a herb garden and one is a tea and salad garden. Both are great for you to try. You can also use this method to create a mixed green salad garden. 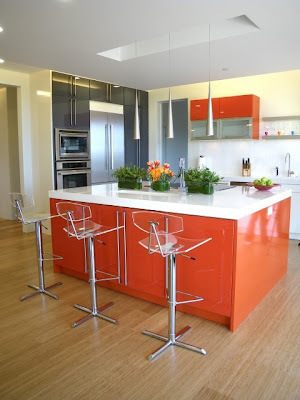 The first thing to do is to find a pot that will fit in the area you have available. There are long thin pots that are perfect for windowsills and can be used for several plants. You can also use a series of smaller individual pots if that fits better on your window. You can also find larger round pots that can be kept on your deck or balcony in the summer and then brought indoors in the winter. The example above is a special herb pot, but you can use any large pot as shown in the video. Once you have your container, the next thing you need is a good growing mix, and this you can find in any gardening centre. Just make sure you get an organic one. Even if you have absolutely no light in the place where you live, you can still grow herbs and other plants. The picture at the top of this post shows a modern kitchen with herbs growing under lights on the kitchen island. You can also grow herbs by using a grow light like they have in this video. 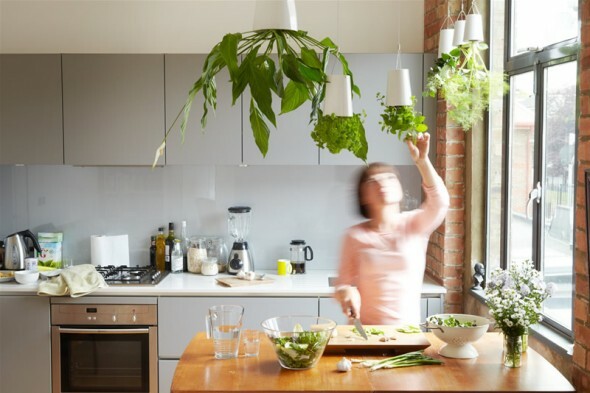 This person is obviously really into garden experimentation and most of this would be too much for a beginner, but the setup he has on the divider between his kitchen and dining room is a great option for someone who has no other light access. 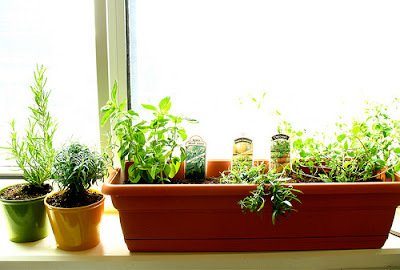 Once you've potted your herbs, just put them in a sunny window and check them once a day. If the earth feels dry to the touch, give them some water. Always keep the earth moist, and your plant in the sun or under a light source, and you will grow healthy delicious herbs to add to your Paleo meals. If you grow larger pots of herbs you can also freeze some of your harvest for later use. 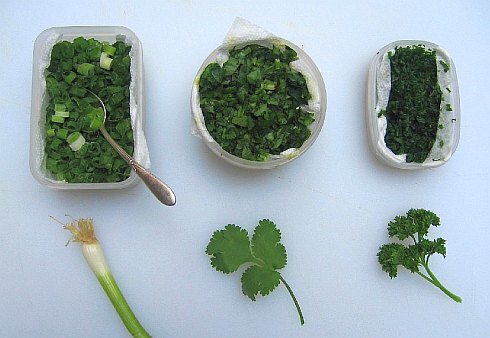 Just about any herb can be chopped into a small container and frozen. 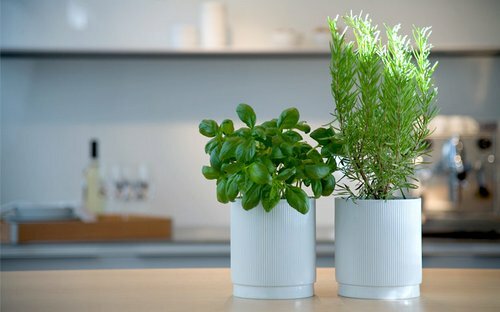 Since moisture is the biggest problem when freezing herbs, line the container you are using with some paper towel to absorb the excess. Cut small sprigs of rosemary, thyme and other woody herbs, freeze whole in freezer bags, and then just removed when needed. Most people who grow sprouts use beans which are not Paleo. I know sprouted seeds are more nutritious, but I still wouldn't use beans. 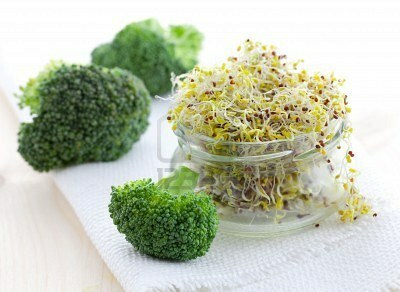 But growing sprouts is still something that we can do to add lots of nutrition to our salads. You can grow alfalfa sprouts, broccoli sprouts, and many others. The best sprouts to grow are broccoli sprouts. These have been found in some studies to contain up to 10 times the nutrition you would get from just eating broccoli, so for broccoli haters these are an especially great choice. Here is a terrific little video that shows you the sprouts as they grow. It also shows you how to make your own sprouting jar. I use cheesecloth instead of wire mesh and find it works better because the mesh can sometimes rust. 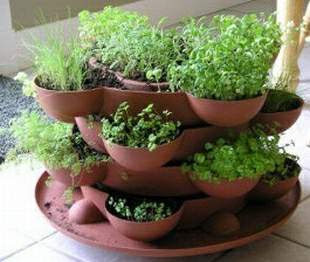 Growing your own herbs and sprouts is a perfect way to start taking more control over your food production. Most of us are not in a position to have chickens, goats and a cow in our backyard .... nor would we want to even if we could. But growing a few plants is an easy, fun and delicious way to start producing some of our own food. Gardening might be an old fashioned pastime, but I think it's time has come again. Here is a great example of what I mean as shown at the New York 24th annual International Contemporary Furnishings Fair. This is an eco-friendly ceramic sky garden - the perfect example of combining the techniques of the past with the innovations of the present.